They had jumped a fence at the Edmonton Institution for Women. Kelsie Laine Marie Mast, right, and Samantha Faye Toope, left, were arrested at an escape room in Edmonton after escaping from prison. After breaking out of an Edmonton prison, two female inmates were cornered by police at an escape room the next day. "It's sort of was funny to think that they weren't going to escape from an escape room," Rebecca Liaw, co-owner of the escape room SideQuests Adventures told Global News. "Definitely not as challenging here as, I assume, escaping from jail would be." 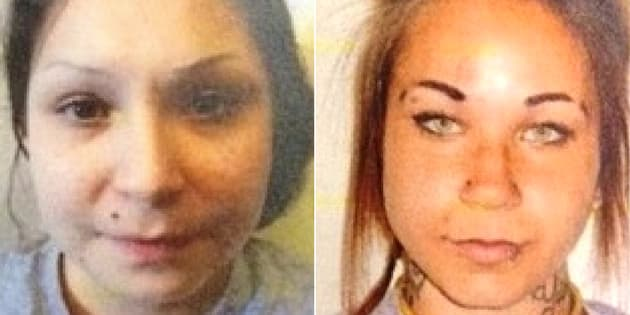 On Monday night, Kelsie Laine Marie Mast, 23, and Samantha Faye Toope, 20, jumped a fence and fled the Edmonton Institution for Women. Both women are violent and have a history of weapons offences, police had warned. Someone recognized the pair in downtown Edmonton on Tuesday and called officials. Police tracked them to SideQuests, which offers adventure games where players have to solve puzzles to escape a room. Liaw said she was showing the inmates around and telling them about escape rooms when officers arrived. "They were arrested and walked straight out very quietly after that. Not exactly what I expected when they wanted to know about escape rooms," Liaw told CTV News.